Notre Dame Law School has selected Michael K. Addo to be director of the London Global Gateway Law Program. He will start July 1. 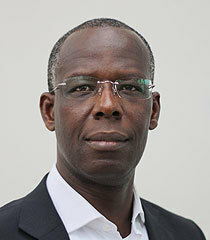 Addo comes to Notre Dame from the University of Exeter as an international law and human rights specialist with more than 25 years of experience in research, teaching, and policy advice. Addo has also had management and administrative responsibilities at Exeter as associate dean of the faculty of postgraduate studies – a position that involved the development and negotiation of policy strategies, the coordination of teaching standards, the accreditation of programs across the university, and overseeing the examination and award of doctoral degrees. His work outside the university has included holding several leadership positions with the United Nations. The UN Human Rights Council appointed him in 2011 to join its Working Group on Business and Human Rights, a body he currently chairs. He has also served as chairperson of the Co-ordination Committee of United Nations Special Procedure Mandate Holders from 2015 to 2016. “The United Nations Mandate on Business and Human Rights has provided interesting opportunities to meet with high-level government representatives, business leaders, and civil society advocates,” Addo said. Addo said his experience working for the United Nations with Douglass Cassel, a professor of law and Notre Dame Presidential Fellow at Notre Dame Law School, and his interactions with other faculty and staff have further cemented his opinion of the University. Addo said there are several reasons why it will be valuable for law students to study in London. The program provides students with experience living in another culture, exposes them to how the law operates in another country, and deepens their understanding of American law. “When trying to understand the origins and foundations of American law, it’s helpful if you can understand the common law of England,” he said. Originally published by Kevin Allen at law.nd.edu on May 10, 2017.